WordPress 4.9.8 Maintenance Release Now Available! DevotePressPosted on August 3, 2018 Leave a comment on WordPress 4.9.8 Maintenance Release Now Available! 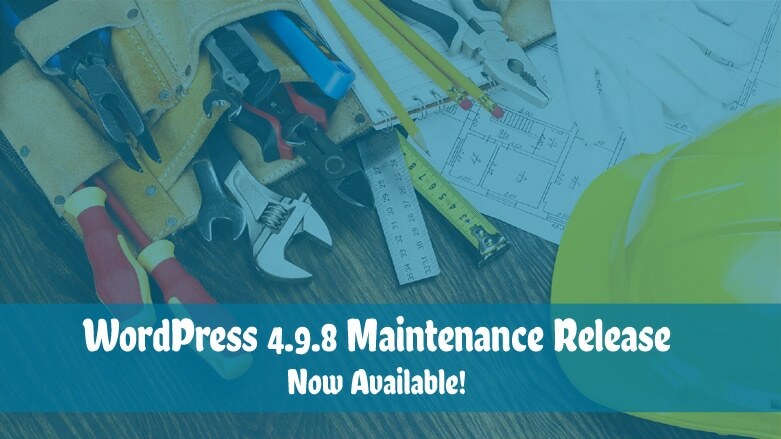 The much awaited WordPress 4.9.8 is now available as a Maintenance Release. The WordPress 4.9.8 … Continue ReadingWordPress 4.9.8 Maintenance Release Now Available! The Official Gutenberg Information Site has been Updated! DevotePressPosted on August 2, 2018 Leave a comment on The Official Gutenberg Information Site has been Updated! The official Gutenberg Information Site has been updated with an interactive demo that can be … Continue ReadingThe Official Gutenberg Information Site has been Updated! WordPress 4.9.8 Release Candidate 3 Available for Testing! 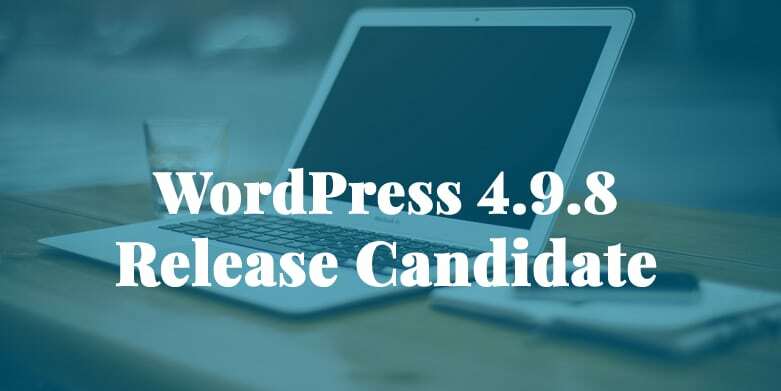 DevotePressPosted on August 1, 2018 Leave a comment on WordPress 4.9.8 Release Candidate 3 Available for Testing! The third release candidate – WordPress 4.9.8 Release Candidate 3 is now available for testing. 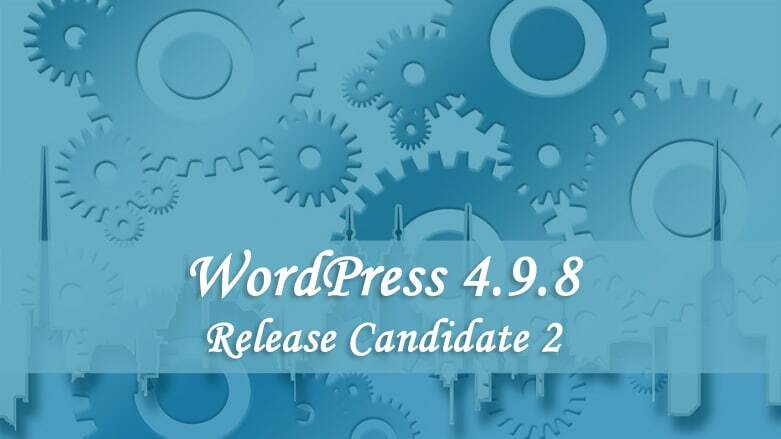 … Continue ReadingWordPress 4.9.8 Release Candidate 3 Available for Testing! WordPress 4.9.8 Release Candidate 2 Available for Testing! DevotePressPosted on July 27, 2018 Leave a comment on WordPress 4.9.8 Release Candidate 2 Available for Testing! 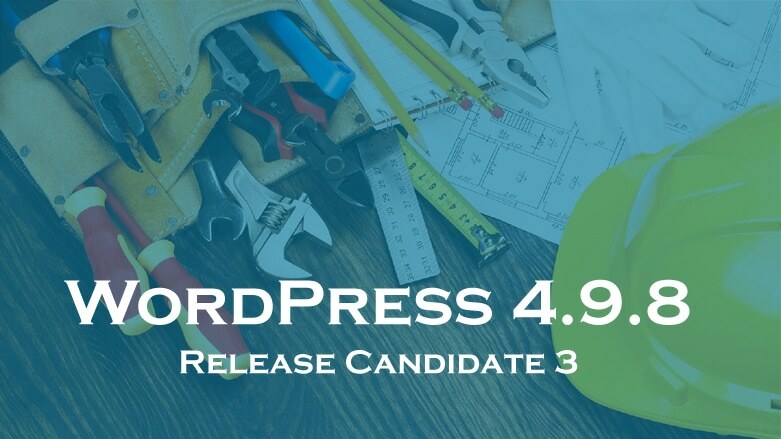 The second release candidate – WordPress 4.9.8 Release Candidate 2 has been released and is … Continue ReadingWordPress 4.9.8 Release Candidate 2 Available for Testing! WordPress 4.9.8 Release Candidate Now Available! DevotePressPosted on July 26, 2018 Leave a comment on WordPress 4.9.8 Release Candidate Now Available! The first release candidate – WordPress 4.9.8 Release Candidate is now available for testing. 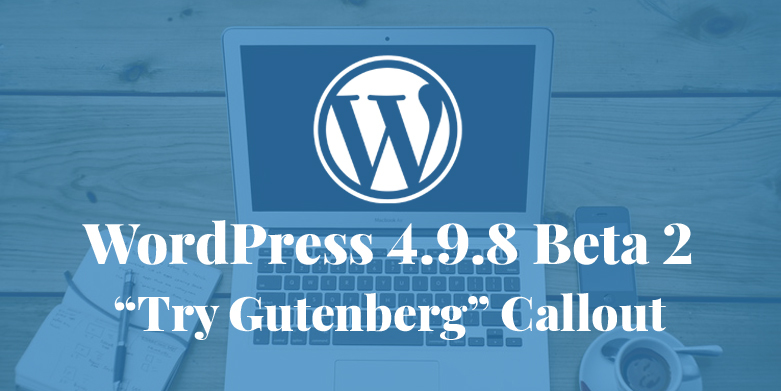 So … Continue ReadingWordPress 4.9.8 Release Candidate Now Available! WordPress 4.9.8 Beta 1 Available for Testing! DevotePressPosted on July 18, 2018 July 18, 2018 Leave a comment on WordPress 4.9.8 Beta 1 Available for Testing! 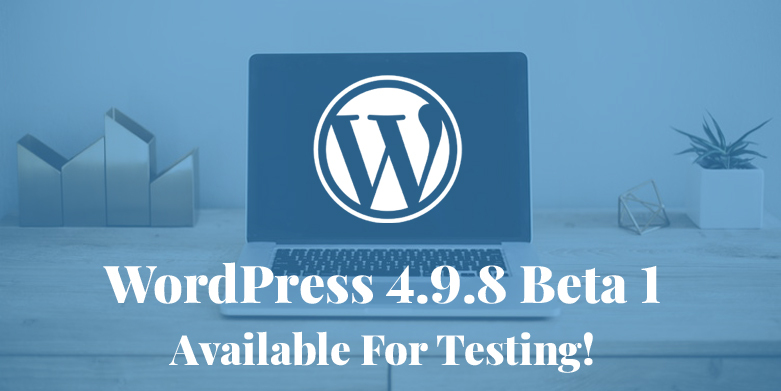 WordPress 4.9.8 Beta 1 is here and available for testing! You can play with the … Continue ReadingWordPress 4.9.8 Beta 1 Available for Testing!